There is an old saying that goes, “No one is an island.” This is abundantly true in student ministry. Healthy student ministries are built on volunteers who love Jesus and love students. For some Student Ministers, the temptation is to try to do it all yourself, but this is ill-advised and counter-productive. 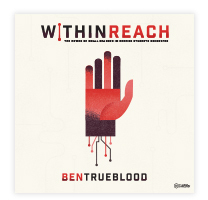 Unleashing an army of highly skilled student ministry volunteers on your church will go a lot further than trying to be a one man (or woman) show. 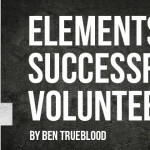 Student Ministers need to see volunteers as teammates. Here are five things that every volunteer needs from their Student Minister in order to be effective in their ministry with students. Appreciation– Acknowledge to your volunteers that you can’t do it without them. Let them know how much you appreciate the effort they put into serving and the selfless way they give of their time and energy. Everybody always appreciates a “thank you” so don’t be shy to lavish your volunteers with thanks. Vision- When you are working a jigsaw puzzle it’s always helpful to see the picture that you are trying to build with the pieces. 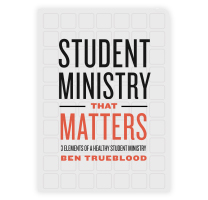 Volunteers need to know how they fit into the big picture of the student ministry. Take the time to lay out your vision for student ministry, how it fits in with the vision of the church, and how volunteers are indispensable to the success of the vision. Clear Job Descriptions– Once when I was a young student minister, a woman wanted to volunteer in the student ministry. I happily welcomed her and asked her to come and hang out on Wednesdays with our students. She came for two weeks then quit. I saw her later and asked her why she wasn’t coming on Wednesday nights anymore and she said she didn’t have anything to do so she assumed she wasn’t needed. I failed her by not giving her a description of what I wanted Wednesday night volunteers to do. If I had been more specific in my plan for her and given her clear, specific tasks, she would have remained in the student ministry helping lead students to a closer walk with the Lord, rather than assuming she wasn’t needed. Volunteers need to know exactly what is being asked and expected of them and given a clear job to do. Training- Student Ministers cannot assume that their volunteers just automatically know what you need them to do. Most of them are serving out of love for students, but don’t have the knowledge they need to be effective in their role. Invest in them and train them to serve in student ministry. Offer a training luncheon and give them pointers on how to teach a lesson. If budget permits take them to a training conference. The ETCH Conference is great for this. There are also online resources to train your volunteer team on the Student Pastor Network. Communication- Keep volunteers in the loop. You might ask, what’s the best method? A text app, email, snail mail, face to face communication, newsletters? Yes to all. You can never communicate enough. Remember, these are your teammates. If you practice these five things, your volunteer team will feel more equipped to serve. 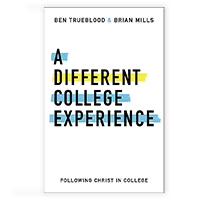 When they are better equipped, more students grow in their relationship with Jesus, which is the goal of Student Ministry.